School bus insurance is a type of commercial auto insurance coverage. 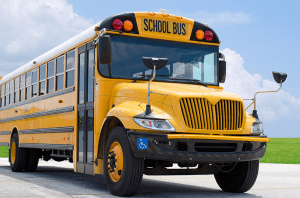 It is important that when purchasing this type of insurance that you speak with an agent who understands school bus transportation and the exposures faced. Student transportation can be complex and burdensome with the liability exposure you are faced with. At Gould we do our best to help you with this process. We represent your best interest. Our relationship with our many A-rated providers allows us to leverage comprehensive insurance solutions for your exposure.